Details of the book being published for the Helios exhibition at the Corcoran Gallery, Washington, have been announced. Text by Philip Brookman, Marta Braun, Cory Keller, Rebecca Solnit. 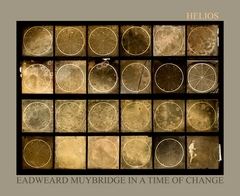 Helios: Eadweard Muybridge in a Time of Change offers an opportunity to trace the life and art of the great photographer. In the wake of a wave of recent scholarship and renewed interest, it pitches his entire body of work against the backdrop of one of the most transformative periods of American and European history. Published to accompany a retrospective exhibition organized by the Corcoran Gallery of Art, Helios features essays by Philip Brookman, Marta Braun, Corey Keller and Rebecca Solnit that provide a variety of new approaches to Muybridge’s art and influences.Born in England, Eadweard J. Muybridge (1830–1904) moved to the United States in his early twenties, working as a bookseller for nearly ten years, until, after a stagecoach accident, he learned photography while convalescing in England. 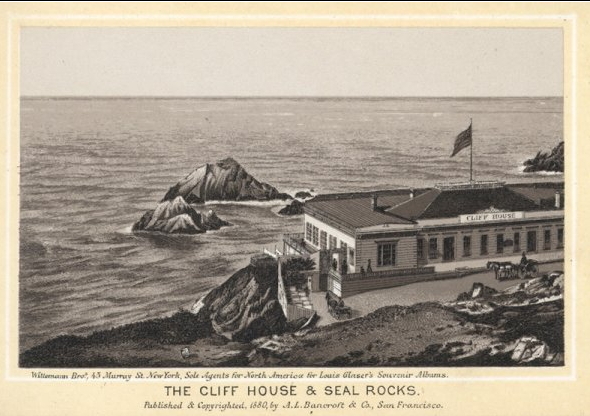 Returning to San Francisco in 1867, operating under the name of Helios, he commenced the work that was to secure his fame. FORMAT: Hbk, 11 x 8 in. / 300 pgs / 200 tritone. Photographer / publisher: William Vick, Ipswich, England. Date: c.1890. TALK TO EMPTY SEATS. TECHNICAL LEARNING IN MANY CONGRESSES FAILS TO ATTRACT – In the evening the Congress on Painting and Sculpture listened to an address on “Copperplate Engraving” by Frederick Keppel of New York, illustrated by the stereopticon, and a paper on “The Science of Animal Locomotion in Its Relation to Design in Art,” by Edward Muybridge. The attendance was not large. The following summer (1894), Muybridge was back in England, and in May 1895 he sent out a brochure, The Motion of the Horse and other animals, in Nature and in Art, announcing a lecture season ‘from October next [i.e. 1895] until March 1896′, to be illustrated with ’40 new zoopraxiscopic projecting discs’. Through the instrumentality of Mr. W. Vick and a local committee, a unique entertainment will take place in the Ipswich Town Hall, on Wednesday, October 16th. It will consist of a lecture and demonstration by Mr. Eadweard Muybridge, of the University of Pennsylvania, on the motion of men and other animals in art; and illustrated with the Zoopraxiscope [etc]. ‘Mr. W. Vick’ was local photographer William Vick, who had photographed Muybridge – most likely during his previous visit in 1890. A cordial vote of thanks was passed to the lecturer on the proposition of Mr. D. Favel Goddard, M.P., seconded by Mr. Herman Biddell. The Zoopraxiscope was used during the lecture. Despite Muybridge stating in his May ’95 brochure that lectures would include ‘40 new zoopraxiscopic projecting discs’, there is no mention of this in the lecture report. Since the new discs were in colour, and different from those shown in Ipswich in 1890 (and this would have been a selling point for those promoting the lecture), it seems safe to conclude that Muybridge did not show the colour discs. A few years later, he tried to arrange for the negatives of the new discs to be destroyed. It seems then, that Muybridge used his earlier black-and-white discs exclusively, right up to the end of his lecturing career. 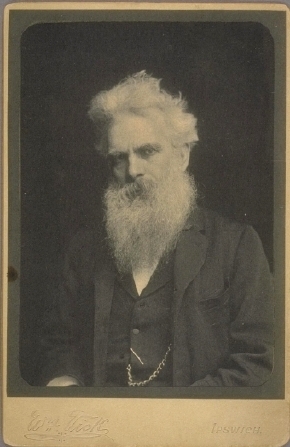 Muybridge was ‘accepting no further engagements until February 1896’, but early in 1896 he was in Boston on business concerning the Animal Locomotion negatives, did not apparently give lectures in the USA at that time, and would not return to England until (circa) May 1897. Some time during the Summer or early Autumn of 1897, Muybridge gave his last known talk to the St Ives Arts Club, Cornwall, but this was almost certainly a slide show only – without the Zoopraxiscope. It may be that this recently discovered Ipswich booking in October 1895 was in fact his last public lecture with the Zoopraxiscope, as no further references to lectures during this period have been found. 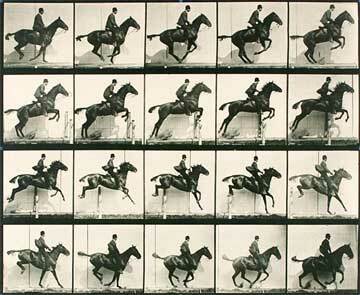 A paper by Alexander Olson given at a recent American Studies Association Annual Meeting is one of the few on Muybridge to deal with subjects other than his locomotion studies or landscape photography. My presentation will focus on one of these “private residences”—the San Francisco mansion of Kate and Robert Johnson. In 1880, Muybridge created a series of photographs of their residence using representational strategies that drastically differ from those of his motion studies. The albumen prints that comprised this series included spoof spirit photographs and playful arrangements of the mirrors, paintings, and bric-a-brac crammed into every corner of the mansion. The transgression of boundaries between animate and inanimate, corporeality and disembodiment, suggest that Muybridge held a more capacious idea of photographic “proof” than what his motion studies might lead one to expect. The goal of my paper is not only to reappraise a photographic practitioner often thought to exemplify the power of the image to adjudicate truth claims in the name of objective knowledge; I also aim to raise questions about spirit photography as a vehicle of cultural and representational play. Mini-Panorama of San Francisco after Muybridge. 498. [SAN FRANCISCO]. MUYBRIDGE, E[adweard] J[ames] (after). Views of San Francisco, Wittemann Bros., 45 Murray St., New York, Sole Agents for North America for Louis Glaser’s Souvenir Albums. Published & Copyrighted, 1880, by A.L. Bancroft & Co., San Francisco. Accordion-fold view book with 17 photolithograph images on a single sheet of glossy paper with 18 panels, including: Panoramic View of San Francisco [below image at left] From Photo. Copyrighted by E.J. Muybridge, extending across 6 panels, measuring overall 7.5 x 70 cm; image only: 6 x 67 cm; entire length of 18 panels: 200.5 cm, bound in original brown embossed covers (8.5 x 12.7 cm), gilt lettering on front cover: Views of San Francisco. On verso of last panel, oval purple ink stamp: C. Beach, Bookseller, Stationer, and News Dealer, 107 Motgomery [sic] St., S.F. Exceptionally fine and fresh. Very scarce. OCLC locates copies at Cornell, University of Illinois, University of New Mexico, and San Francisco Public Library. Helios: Eadweard Muybridge in a Time of Change, the first retrospective exhibition to examine all aspects of Muybridge’s art, will be on view at the Corcoran Gallery of Art, Washington, from April 10 through July 18, 2010. Structured in a series of thematic sections, Helios: Eadweard Muybridge in a Time of Change includes numerous vintage photographs, albums, stereographs, lantern slides, glass negatives and positives, camera equipment, patent models, Zoopraxiscope discs, proof prints, notes, books, and other ephemera. Over 300 objects created between 1858 and 1893 are brought together for the first time from numerous international collections. Muybridge’s only surviving Zoopraxiscope—an apparatus he designed in 1879 to project motion pictures—will also be on view. Organized by Corcoran chief curator and head of research Philip Brookman, the exhibition will also travel to Tate Britain in London from September 8, 2010 through January 16, 2011, and to the San Francisco Museum of Modern Art from February 26 through June 7, 2011. A catalogue of the exhibition, with new essays by Brookman, Marta Braun, Andy Grundberg, Corey Keller, and Rebecca Solnit, will be published by Steidl.